Nowadays, the PiranhaMAX™ Series is giving you more to chew on with a 4.3″ display and the addition of Down Imaging on select models. So you can see what's below your boat with great clarity. Thanks to an easy-to-use interface, unlocking the power of Fish ID ™, fish alarms, depth alarms and zoom has never been simpler. 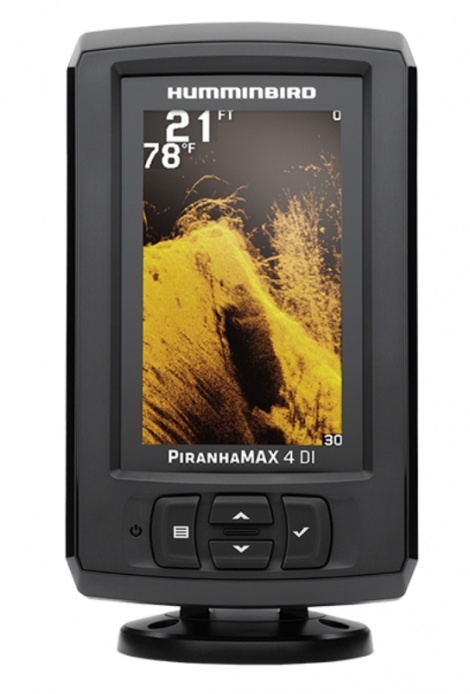 Feature for feature, it packs a technological chomp that no fishfinder in its class can match.